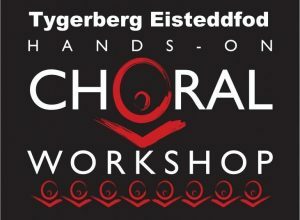 In line with our vision to serve the community we will host a choral workshop on Saturday, 28 January 2017 for all choir conductors. This workshop will be presented by Martin Berger, a senior lecturer at Stellenbosch University. Berger was professor at two leading universities in Germany until he was appointed by the Stellenbosch University. Further information can be obtained from our Administrative Manager, Elize Hayman at 0833025501.